The growing human population and ever advancing social and economic development have led to a massive demand on freshwater resources, especially through agricultural and urban land use change that result in actions such as water resource management, flood protection, navigation and hydropower. These developments have put considerable pressure on our rivers and are altering their natural functioning through channelization, disruption of the river pathways,disconnecting channels from flood plains,impoundment, water abstraction and flow regulation. Moreover, global effects of climate change are becoming more evident and will have a major impact on water resources in Europe, intensifying the effects of river degradation and changing the way river restoration is applied. There are a number of European Directives in place to support the ecological health of rivers such as the Water Framework Directive (WFD (2000/60/EC), Habitats Directive (92/43/EEC) and Groundwater Directive (2006/118/EC). Nevertheless, restoration activities in Europe are also influenced by numerous EU Directives and national government policies that may have conflicting targets. Current river restoration tends to encounter obstacles as a result of societal demands, particularly flood protection, hydropower, navigation and agriculture. Other directives and legislation, such as the Floods Directive (2007/60/EC) and Renewable Energy Directive (2009/28/EC) also potentially conflict with the ecological objectives, but are necessary to support river management from a socio-economic perspective. Thus, governance, economic incentives and legislation are significant drivers with respect to balancing competing demands for river use, especially as each tends to be biased towards its own requirements leading to significant environmental impacts on the natural functioning of inland water ecosystems. Consequently, managers are required to change the way European waters are managed, especially as the ecological status of rivers is likely to change with climate. In the context of REFORM WP5 on restoration potential and strategies (http://reformrivers.eu/results/restoration-potential-and-strategy), we propose adopting a ‘synergistic and trade-off’ approach to river restoration through the application of the DPSIR (Drivers, Pressures, States, Impacts, Responses) framework, with specific focus on soft engineering techniques i.e. nature-based solutions where possible, to reduce the effects of climate change. This will enable river managers to consider the links in integrated freshwater conservation planning and overcome constraints that might hinder other (or multiple) sectors. Synergies in river restoration occur when benefits can be found for both ecosystem service and the environment, whereas a trade-off occurs when one changes at the expense of another (Bennett et al. 2009). For example, managers of freshwater ecosystems face decisions that result in conflicts among abstraction from rivers and lakes for drinking, irrigation or industry and the leaving sufficient water for fisheries. Land use decisions are often based on societal needs without fully weighing up the potential ecosystem consequences and lead in loss of other services or uses. Trade-offs among services are not always explicit, they can occur unintentionally and without our knowledge, especially as some services can be linked, but respond in different ways to changes to human interventions. Currently there is too little effort to find synergies between sectors for the benefit of river restoration. This is because different sectors are ruled by different motives and there is little discussion between groups. However, this is changing because of the high costs of restoration and the need to harmonise activities for all sectors of society. Harmonising benefits for ‘win-win’ scenarios for river restoration by improving ecological features and enhancing habitat can be found in all aspects of river management but not least flood defence and hydropower development. For instance, making space for the river to flood in areas where human and economic stakes are relatively low is recognised as a more sustainable way of dealing with floods. However, this action will have implications for the agricultural sector and therefore, benefits of flooding upstream will have to outweigh these implications. To what extent is debatable and will vary among rivers. Similarly, considerable opportunities arise between restoration of longitudinal connectivity and hydropower development, especially to improve fish passage across existing barriers created by a legacy of agricultural and industrial development. As part of the licensing of run-of river hydropower schemes, the developers should seek options to first maintain and second improve fish passage easement past the obstruction, especially if it is a partial or total barrier to movement. Such actions will open up areas of catchments to migratory fish that, in some cases, may have been excluded for many years as a result of historical developments. Figure 2: An example of how opportunities arise between hydropower scheme and the restoration of longitudinal connectivity to improve fish passage along an existing barrier. 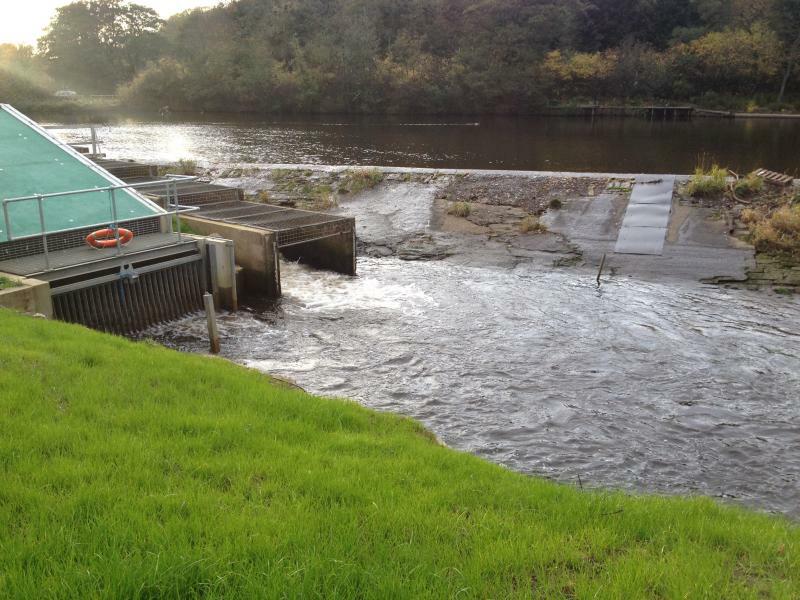 Hydropower on the left and a Larinier fish pass to the right (photo: Jamie Dodd). Synergies in restoration can be achieved through integrated management across social, environmental and economic dimensions. The DPSIR (Driver - Pressures – State - Impact - Response) framework (Figure 3a) is a holistic approach that identifies key relationships between society and the environment and is a tool that supports managers in their decision making, especially to structure and communicate policy relevant rehabilitation projects. 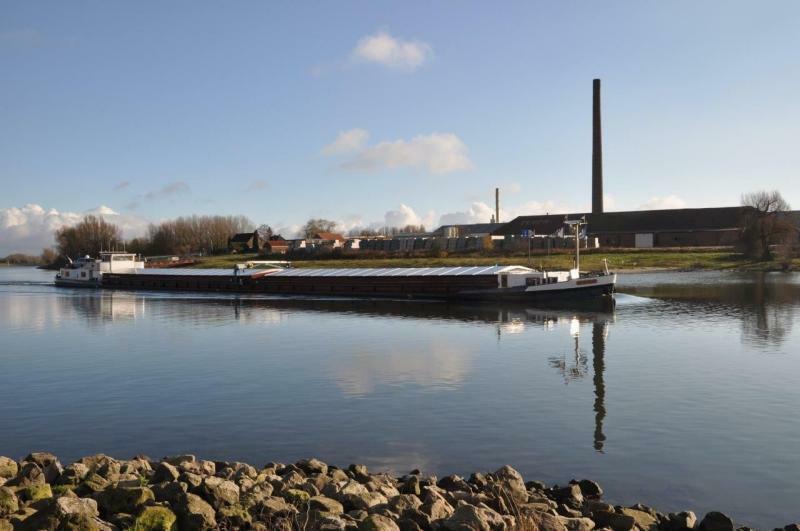 For example, Drivers are the key demands by society such as agricultural and urban land use, flood protection, inland navigation and hydropower but each affects the biological and abiotic State changes within the river system. The DPSIR approach disentangles these knock on effects and identifies mitigation options by human Response to the impacts on the ecosystem functioning that benefit all sectors of society. The ‘nested DPSIR’ (Figure 3b) is a development of the original DPSIR (Figure 3a) by nesting many single DPSIR cycles to encourage the decision-maker to think about the challenges within a larger system, across multiple sectors, producing an outcome that can identify multi-benefits by linking the ecosystem approach, ecosystem services and societal benefits. It describes the linkages and feedback loops between causes, consequences and responses to change from multiple users (Figure 3b). Integrating these concepts provides an opportunity to identify mitigation actions that can produce ‘win-win’ scenarios. Managers should utilise both the DPSIR and Nested DPSIR tools for effective decision making, particularly if they want to produce successful strategies that accept the complexities of ecosystem management whilst minimize the effects of ecological and ecosystem services trade-offs. Figure 3: Systematic framework for decision making that captures the key relationship between society and the environment for a single sectors (a. DPSIR) and multiple sectors (b. Nested DPSIR) acting on a freshwater systems. The Nested DPSIR (b.) recognises the complexity of the system and accommodates multiple interactions, forward linkages and feedback loops between the elements (adapted from Atkins et al. 2011). The REFORM deliverable D5.3 with further details will be available in March 2015. Bennett E.M., Peterson G.D. & Gordon L.G. 2009. Understanding relationships among multiple ecosystem services. Ecology Letters 12:1394–1404. http://dx.doi.org/10 .1111/j.1461-0248.2009.01387.